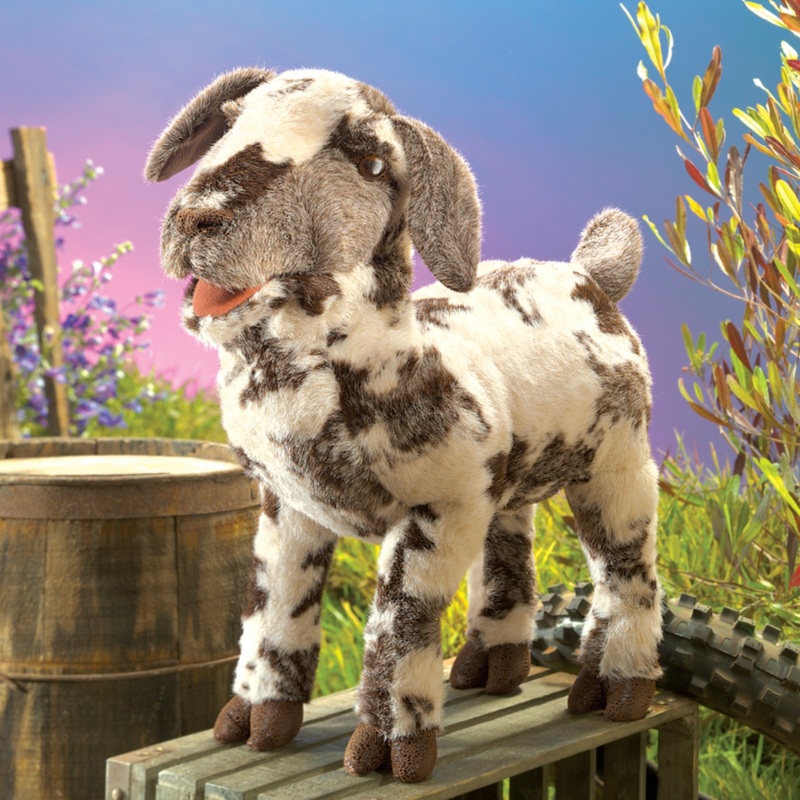 The Folkmanis Goat puppets was released in October 2017. 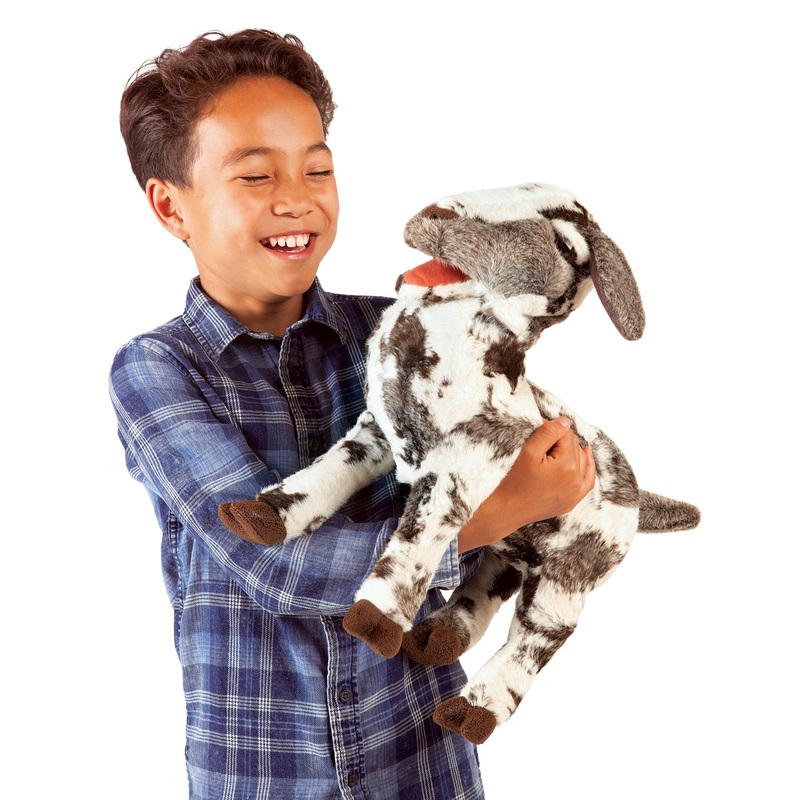 The screaming goat puppet can make a sound and has a movable mouth. It is 19 inches long, 8 inches wide and 17 inches tall (48.2 x 20.3 x 43.1 cm). Contact us if you need more than the amount of available inventory. Out of stock until late November. 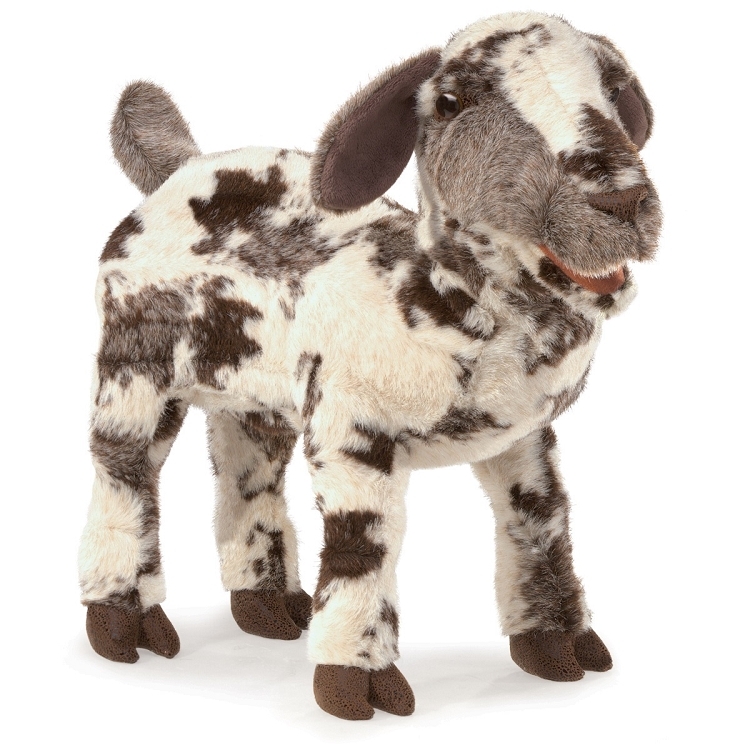 Lamb Puppet by Folkmanis Disc.